Prepared for college. Prepared for the global workplace. Prepared for personal success. All announcements, News, and updates from Dr. Mary Brown, Superintendent of the Greenwood Leflore Consolidated School District, will be posted here. Approved by James Johnson-Waldington, Interim Superintendent of the Leflore County School District. Welcome to the website for the Leflore County School District. 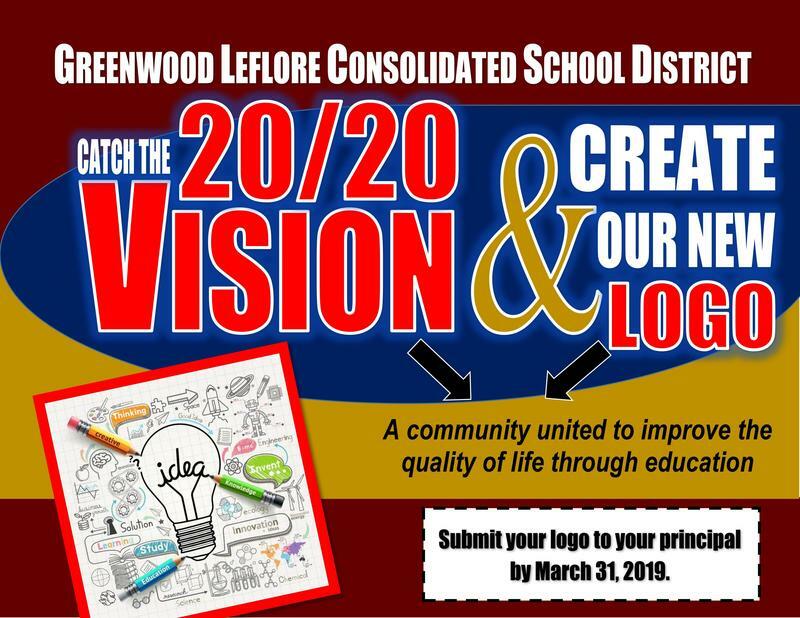 The Leflore County School District has taken a holistic, systematic approach to educate, inspire, and build capacity in all stakeholders. The district has developed a sense of urgency and resilience that will yield sustainable success. It is our utmost belief that with perseverance and team effort we will, as a district, ensure that all students have the fortitude necessary to achieve state standards and maximize their creative, moral, academic, personal, physical, and spiritual development. Tremendous improvements have been made over the past two years in the areas of literacy skills, math skills, and leadership skills. With these improved skills, Leflore County School District is moving forward positively in preparing all students for college or the work force. Leflore County School District presently is under the auspices of the Mississippi Department of Education and is referred to as being under Conservatorship. This means that there isn't a school board or a superintendent. The governing agent is the Conservator and he/she has complete authority under the Mississippi Code 1972 (Annotated) Section 37-17-6. Leflore County has been under this umbrella of authority for approximately two (2) years. This website's function is to simply provide for you the information you may seek and to hopefully answer your questions. We believe it is user friendly and contains sufficient information about the district and/or each school.